The “Buddhapadamangala” is an anonymous work in the corpus of Pali literature transmitted in Siam. Its starting point is the conventional description of the wheel mark on the soles of the feet of Buddha, following the Pali tradition which presents auspicious signs (mangala) as the “retinue” (parivara) of the classical wheel. 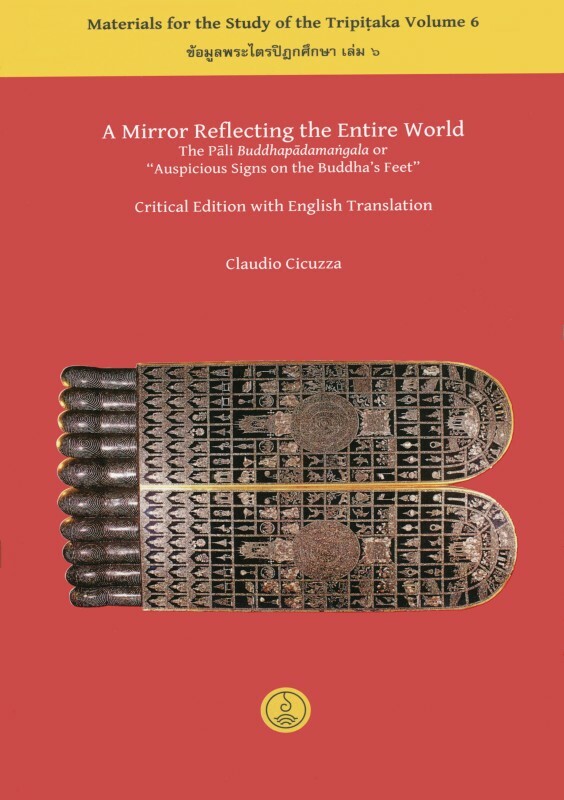 The text lists and explains one hundred and eight auspicious signs, interpreting them in terms of the teachings of the Buddha, with the result that the feet of the Mater are transformed into an intricate map of his teachings, which are set symbolically in a many-layered universe. Claudio Cicuzza (Webster University, Thailand, and IsIAO, Rome) studied Indology at the University “La Sapienza” in Rome. His current research focuses on the Pali literature of Central Siam and the Pala period scholasticism of Nothern India.